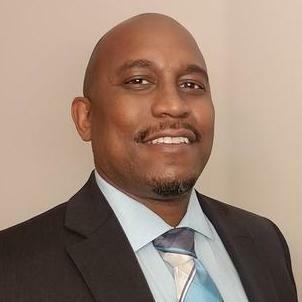 Diallo Scott has been practicing law since 2000. He has worked with worked with startups and established businesses. Mr. Scott has assisted with entity formation and preparing the various documents necessary to operate such as employee handbooks, employment contracts, non-disclosure agreements, and privacy policies. He has also assisted clients in business to business collections and other litigation matters.Mr. Scott has also represented his clients with labor and employment issues and workers' compensation claims. "Mr. Scott helped us with forming our LLC and the LLC Operating Agreement. He has also prepared independent contractor agreements, non-disclosure agreements and other documents for us." LLC formation, independent contractor agreements and non-disclosure agreements. "Diallo has been assisting us with collecting payment from clients that have not paid us for our marketing services. He makes sure to keep us update on all the accounts that he is handling. We plan to keep sending Diallo accounts to collect payment." Represent clients in business litigation and transactions, entity formation, business to business collections, labor and employment, workers’ compensation, and general litigation matters. Represent clients in workers’ compensation matters. Represent clients in appeals, business litigation and transactions, entity formation, business to business collection litigation, employment litigation, family law, and general litigation matters. Represent clients in employment litigation, business litigation and transactions, collection litigation, and general litigation matters.